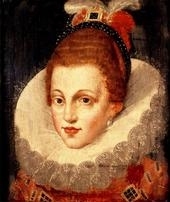 Amy Robsart was born in 1532. She was the daughter of Sir John Robsart. 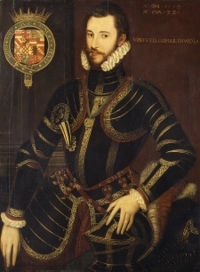 She married Robert Dudley, 1st Earl of Leicester, son of John Dudley, 1st Duke of Northumberland and Jane Guilford, in 1550. 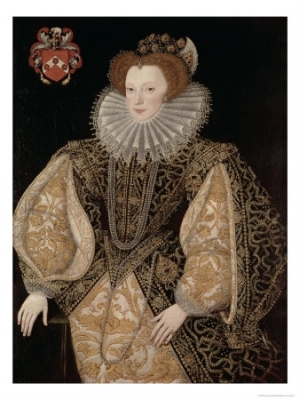 She died on 8 September 1560, from a fall down stairs. [S6] G.E. Cokayne; with Vicary Gibbs, H.A. Doubleday, Geoffrey H. White, Duncan Warrand and Lord Howard de Walden, editors, The Complete Peerage of England, Scotland, Ireland, Great Britain and the United Kingdom, Extant, Extinct or Dormant, new ed., 13 volumes in 14 (1910-1959; reprint in 6 volumes, Gloucester, U.K.: Alan Sutton Publishing, 2000), volume V, page 141. Hereinafter cited as The Complete Peerage. [S6] Cokayne, and others, The Complete Peerage, volume V, page 140. [S6] Cokayne, and others, The Complete Peerage, volume II, page 38.